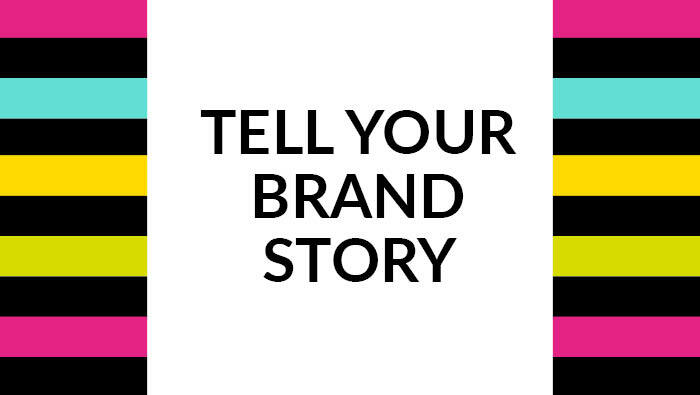 Have you ever told your brand story before? Customers love it. When someone stumbles across your website they will want to find out more about you. They want to know more about you and who you are – ultimately – they want to know how you can help them too. Your brand story will help to build your relationships with your customers and build your brand following. It will also help you build an emotional connection with your customers too. Whilst I now spend most days in my lovely office here in Fife, working away on new branding, discovery calls and connecting with some of the most delightful women I have ever met and from all over the world, my life hasn’t always been like this. Since starting my business, it has allowed me the flexibility to pick up my son, AJ, from school, not worry about the school holidays and child-care, have lunch with Paul, my husband, when we feel like it, have a mid-week day off – wow that is a new one for me and not commute! YAY… win! I feel at peace and I know that I am now living my true passion, I am so grateful for the people who ave helped me to make it happen. Years ago I left Scotland, literally the day after I married the most wonderful and supportive man I know. I was working as an Admin Assistant for an ATM Advertising company at the time and I did love my wee job and was sad when I had to quit. I had not long finished my Honours Degree in Marketing & Design, but I knew that although this was spring board job to get me into an actual design and marketing job, I knew I was capable of so much more and it was time to move. I would love to say Paul and I flew away together with tin cans jingling from the bumper of a soft top car, the wind flowing through my hair and the world was ours to take. In reality though this was so far from the truth. Paul was undertaking his training for a new job role in Shropshire. He had no time off in the 18 months of training. So he came home on Bank Holiday Easter Weekend on the Thursday. Stag Do on Friday. Married on Saturday. Filled up a removal van and left flying down the M6 on the Sunday in a red Vauxhall Nova GTE! Tears flowing down my face and super sad I was leaving my family and my home town of St.Andrews behind. Little did I know that this would be the start of my career journey – one I am pleased to say has made me who I am, and allowed me to run my own biz. I landed myself a great job, but had a two hour commute every day – there and back – four hours commuting, it almost broke me. I working in Birmingham city centre as a Marketing Assistant for an architectural company. Paul was offered another role so we moved to Oxfordshire. Here I was a Marketing Assistant for a fire and flood restoration company. It was here I got a real education. I learnt about advertising, the importance of internal comms, awards for staff, invoicing, retainer clients, exhibitions, conferences, awards and how to write an award entry… the list goes on…. I even spent an evening at the Royal Albert Hall entertaining 12 of our guests at the British Insurance Awards – oh fancy. From here, Paul and I then moved to Cyprus where I landed the greatest job ever – Sub-Editor of the a newspaper. I was then promoted to Editor of the local magazine; now this really was an ace job – PR, tickets to all the events, meeting famouses who visited the island, VIP days with the Red Arrows (that was enlightening) and I was heavily involved with the Lebanon evacuation which took place in 2006 and volunteered with The Red Cross. I learnt tons here, but after 4 years our lives took a new turn when we moved to North Yorkshire. I had a fab job here. I worked for a small company, who sold contract furniture – what the heck is contract furniture? I had never heard of it. Its furniture for the hospitality sector – heavy duty, high through-put and build to last stuff. I learnt about SEO, websites landing pages, website authority pages, Google ad words, back-end database systems, I wrote a tender to win a contract with Disney Cruise Lines – we won! We undertook a serious rebrand project, overhauled the website, integrated database systems – I didn’t understand the whole coding jargon, I just knew it needed to happen – and sure enough I did. They are now a MASSIVE company – going from strength to strength. They are no longer ‘small’. I was sad to leave North Yorks in 2011 as this is where my lovely boy AJ was born. But onwards and upwards and back to Scotland for me it was. We’ve been back in Scotland now for 5 years. I accepted a great job offer of Marketing & Communications Officer for a Housing Association. My career really did take on a different path. More money than I had ever earned but the industry I worked in never suited me at all. Housing? It did not make my heart sing. I made lots of changes when I arrived on the job, restricted ones though – money spend? mmmmm maybe next year. This is the first job I have had where I didn’t get to do what I knew was possible. I wanted to develop the website – I was handed a clunky one and asked to make it work. I had ideas for staff awards, internal newsletters, SEO plans, automate the website, app development, customer login, and integrate our database… I could go on. But I was told NO on most occasions. I did get to do some great things but nothing that really floated my boat. I did win them Housing Association of the Year though – my previous job in Oxford taught me how to write epic award entries! My turning point was meeting motivational speaker, Gavin Oates from Tree of Knowledge. I knew I wanted to be more like him. Doing what he loved. Fully motivated and super inspired. He spoke at one of our Staff Conferences, which I organised. He gave me the push I needed. That day changed my life. I went on to learn everything I could about all things business, self-development, systems, social media, changes in social media. I was like a sponge. I hooked up with some amazing people to help me make my transition from corporate to having my own business and WOOSH – HERE I AM! I am fully aware that each job has made me who I am today. 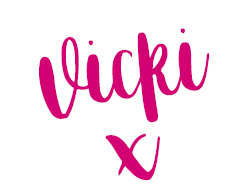 I have a well-rounded, 360 degree marketing, design and communications background that allows me to use my talents and expertise to help women stand out from the crowd and truly give them the confidence in their business. I know that I will continue to grow my business, I have so many wonderful ideas and I can’t wait to share them with you. To say that I love my job is somewhat of an understatement. I have most definitely found my calling. We all have a brand story – what’s yours? Enhance your brand and tell it to your TRIBE.